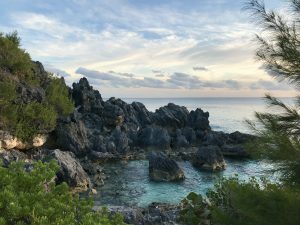 The weekend saw the end of the government shutdown, and I managed to push through a trip to Bermuda at the last minute. I had good reason to go, but was very happy to avoid the polar vortex that gripped D.C. in my absence! I had a great visit to the consular section, returning home on Saturday. I am always amazed at how lovely Bermuda is – it’s really like a fairy land. The residents complained of the cold there, but a high of 65 degrees was just fine by me! Thanks to my friend and colleague Marcy for a great visit! 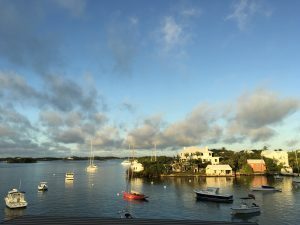 Click to see my Bermuda photos! Sunday we had our good friends Rick and Claire over for lunch and some fun afternoon gaming! This entry was posted on Monday, February 4th, 2019 at 8:16 pm and is filed under Foreign Service. You can follow any responses to this entry through the RSS 2.0 feed. Both comments and pings are currently closed.